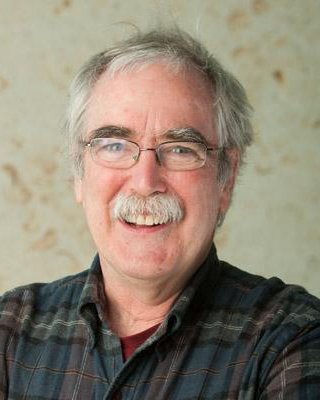 Eric F. Wieschaus, Squibb Professor in Molecular Biology and Howard Hughes Investigator at Princeton University, is the 2018 Developmental Biology-Society for Developmental Biology Lifetime Achievement Award winner for his outstanding and sustained contributions in the field, exceptional mentoring, and service to the scientific community. Wieschaus has spent his career studying pattern formation in the early Drosophila embryo. In their Nobel Prize-winning work, he and Christiane Nüsslein-Volhard performed a large-scale mutagenesis screen where they identified genes essential to establishing the Drosophila body plan. Over the years his lab has characterized numerous segmentation genes including armadillo (β-catenin), wingless (Wnt), odd-skipped, and extradenticle (Pbx1). In the early nineties, Wieschaus began to take a cell biological approach to his developmental studies. For example, work on nullo, which is required for proper transition from a syncytial to a cellular blastoderm in the fly, showed how developmental regulation of gene expression could trigger changes in the actin cytoskeleton. Recently, he has used real-time imaging and quantitative analysis to understand the biophysical properties of apical constriction of ventral furrow cells during gastrulation. He’s also taken a computational biology approach to understand how the bicoid morphogen gradient is established. Wieschaus is an enthusiastic educator (see his statement on teaching evolution) who has trained numerous scientists in his forty-year career. Despite his many responsibilities, he continues to prioritize doing bench work himself. Wieschaus is a member of the National Academy of Sciences and a fellow of the American Academy of Arts and Sciences. He has served as President of the Society for Developmental Biology (2007-2008) and is currently the co-Editor-in-Chief of the SDB-affiliated publication, WIREs Developmental Biology. He will present his Lifetime Achievement Award lecture at the SDB 77th Annual Meeting in Portland, Oregon on Monday, July 23.